If one or more of these fit your current oral health condition, then it’s very possible you could be in a need of a root canal. Out of all the dental procedures a person can undergo, “root canal” always seems to the two words that potential patients fear most. While the procedure may have once been excessively painful or invasive, today’s tools and available sedation techniques have made these descriptions very far from the truth! In fact, root canal therapy is a common restorative service that can save your natural teeth from extraction and even restore full form and functionality to them! At Complete Cosmetic Care Dentistry, we’ll do everything in our power to keep your smile whole and healthy for years to come – that’s why Drs. Mohanna and Georgy offer root canal therapy to patients from Sapulpa, OK and beyond. Root canal therapy specifically treats dire infections that have been able to enter the inside of the tooth due to extensive decay or injury and infect the “pulp” of a tooth. During your procedure, Dr. Mohanna or Dr. Georgy will simply remove the diseased pulp and any bacteria, thoroughly clean the area, and seal the tooth closed so as to prevent further infection. In most cases, we’ll also need to have a crown custom made so as to fit the affected tooth and restore it to full functionality. While root canal therapy may have acquired a bad reputation over the years, the treatment is actually incredibly successful, and most teeth that undergo the procedure go on to last a lifetime as long as they’re properly cared for. 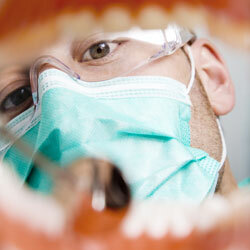 Even better, root canal therapy can often be completed in a single appointment! Don’t let fear keep you from receiving the care your teeth need – contact our Sapulpa office today to schedule an appointment! Drs. Mohanna and Georgy can’t wait to provide concise, comprehensive care for you and your family.